Have any of your students gone a huge step backwards over the summer? 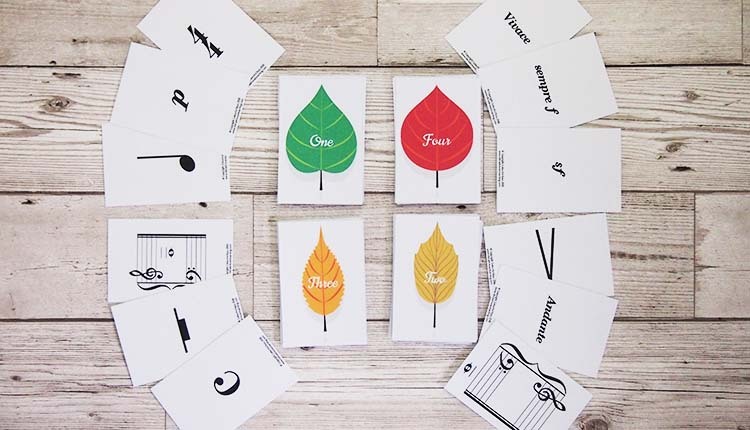 A piano game is a great way to bring students up to speed. 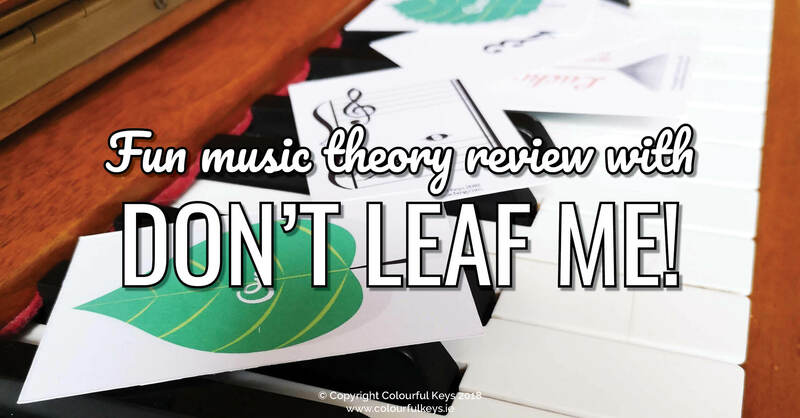 The game I’m sharing with you today provides a review of a broad range of level 1 or beginner piano concepts. That way you can see what’s been forgotten and really hone in on particular areas if necessary. 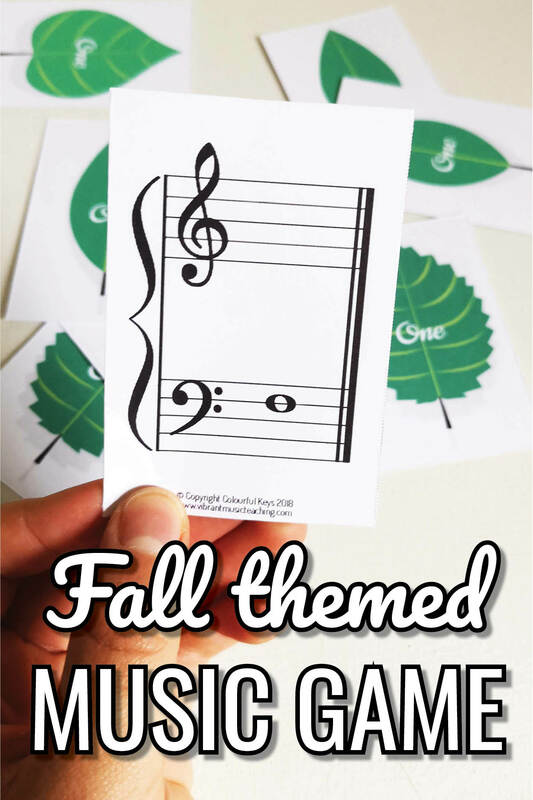 You may be thinking that the leaves in this game look a bit green for autumn leaves! That’s because this is actually level 1 from a multi-level game that’s available to members of Vibrant Music Teaching. Each level is a little bit browner/redder/oranger than the last. Vibrant Music Teaching members can get access to the full game here. If you’re not a member you can find out more and sign-up on this page. Spread the cards out in a loose pile in the centre of the players. If playing with different levels of students together, make one pile for each level. Players take turns to draw a card and name or explain the symbol on the back. If they draw a rake card they get to dump all their cards on another player’s pile. Continue until all the cards are gone or the time is up. The winner is the one with the least cards at the end. Print out the game cards (pages 3-18). Cut apart along the dotted lines and laminate if desired. You don’t need to print every level of game cards, only the level you want to use. If you want to play with a big group all at the same level, you may wish to print multiple copies of one level of the cards. Vibrant Music Teaching members can get access to the full game here. If you’re not a member you can find out more and sign-up on this page. Have any of your students forgotten a lot over the summer? How do you plan to “remind” them? Are you using piano games like me?